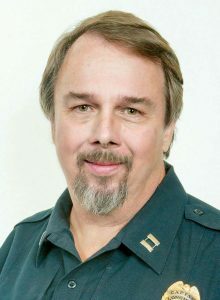 Bryan J. Flansburg, CAFM | Guest columnist NAFA Fleet Management Association President and Chief of the Longmont Emergency Unit, Longmont, Colo. The mobılıty evolution wıll not be as visibly dramatic for municipal fleets as it will be for corporate fleets and personal use, but it will be profound in several less immediately apparent ways. Advances in ride-sharing platforms and autonomous driving technologies will impact the composition of administrative vehicle fleets. Municipalities will still need to own their law enforcement, fire and emergency vehicles because of the nature of their utility, and the drivers of these vehicles will need to have manual control options available to them. Even so, there will be a few truly head-turning changes. Imagine a fleet of autonomous snowplows with the capacity to clear roads in the worst of conditions with minimal downtime. Such plows, like all self-driving vehicles, would share information with other vehicles and with the infrastructure and act in coordination with those vehicles and that infrastructure. Not only would this improve safety, but accuracy as well. The technology to make this happen already exists, and it is highly conceivable that such vehicles could be clearing roads within a decade. The vast majority of changes to municipal fleets will be indirect, less about how they utilize the technology and more about how they are required to meet the needs of their communities. According to a recent analysis from consulting firm Frost & Sullivan, 20 percent of all cars on the roads by 2025 will be autonomous. This is expected to climb to 50 percent by 2040 and 100 percent by 2060. How would that affect the municipal fleet? Consider this: Data from the National Highway Traffic Safety Administration estimates that as many as 37,461 people died in motor vehicles crashes in 2016, with the primary cause of over 90 percent of all crashes being driver error. Self-driving vehicles would virtually end distracted driving and impaired driving crashes, potentially reducing the rate of automotive-related deaths. Such a reduction would decrease a community’s emergency vehicle requirements significantly. Emergency services would have the ability to focus on other crises. Speaking as the chief of the Longmont Emergency Unit in Longmont, Colo., I can say this alone would be transformational. The evolution of mobility will also aff ect city planning and the way we envision a city’s look and functionality. In the very near future, we could see communities without parking lots, not because there isn’t room to construct them, but because there’s no need to have them. Ride-sharing services — multiple passengers in the same vehicle — could reduce the number of vehicles on the roads. 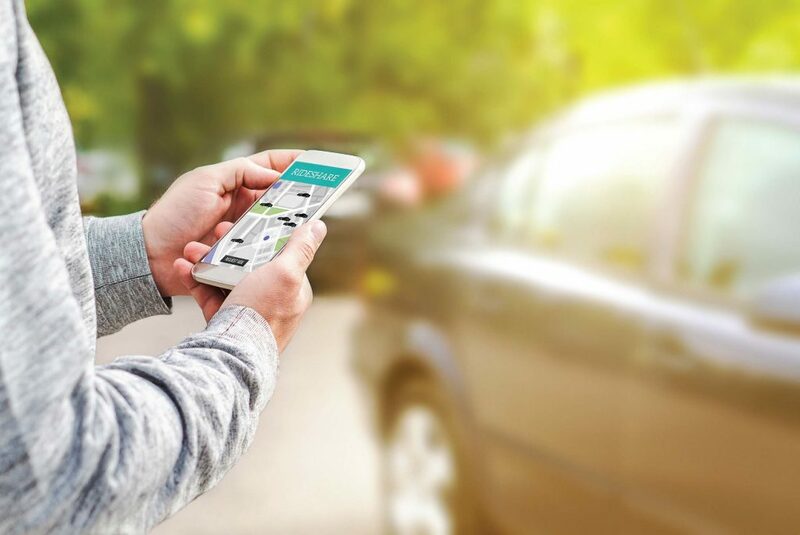 Vehicle-sharing services — one vehicle used by many people over the course of a day — could dramatically reduce the need for vehicles. With the click of a smartphone app, a car will come for you, take you where you want to go and never need to park long term. In fact, a transportation model like this could become so common, it could cause individuals to give up their own vehicles, with municipalities possibly following suit with their sedan fleets. A typical personal vehicle sits unused 96 percent of the time. When autonomous technology becomes standard — and roads become safer — a manually-operated vehicle will be, by nature, riskier. Th e cost of insuring that vehicle will increase, and the wear and tear such a vehicle will experience will incur further expenses. Many will run that cost-benefit analysis and realize it doesn’t make sense. Others will see an opportunity in purchasing an autonomous vehicle themselves, profiting off of that 96 percent downtime by sharing the vehicle for a fee. Something that municipalities will need to consider is that, even though there would be fewer crashes for first responders to address and less real estate needed to house vehicles that aren’t in use, people and products will still move from point A to point B. Roads will still be affected by that usage. A greater emphasis will be placed on the maintenance of the infrastructure. The mobility evolution for municipal fleets may not be as outwardly different as it will be for other fleet types and for the typical civilian driver, but the adaptation to change and the new transportation environment will be significant and, in most cases, for the better. Bryan Flansburg, CAFM, is chief of Longmont Emergency Unit and serves as president of NAFA Fleet Management Association. He also serves as fleet manager/salesforce administrator for the “I Have A Dream” Foundation of Boulder County, Colo. Prior to being with the Longmont Emergency Unit, Flansburg was director of transportation for the University of Colorado from 1987-2015.